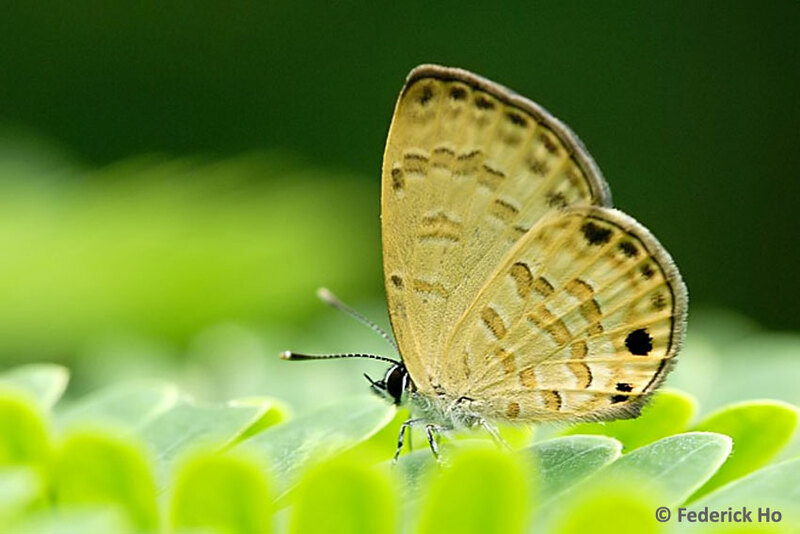 Butterflies of Singapore: A New Taxon for Singapore! A New Taxon for Singapore! 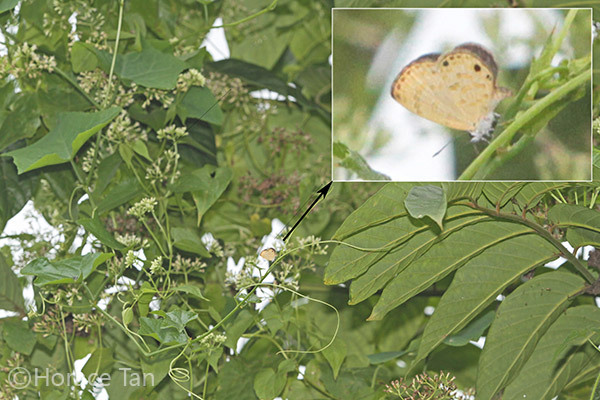 According to the two tomes about butterflies of Malaysia and Singapore - Corbet & Pendlebury's "Butterflies of the Malay Peninsula (C&P4) and W.A. Fleming's "Butterflies of West Malaysia and Singapore", this species is normally found in primary forest below 2,500 ft. It has not been recorded from Singapore before. Another recce trip a couple of days later by ButterflyCircle member Horace Tan also yielded a further sighting of this species at the same location, validating Federick's earlier find. 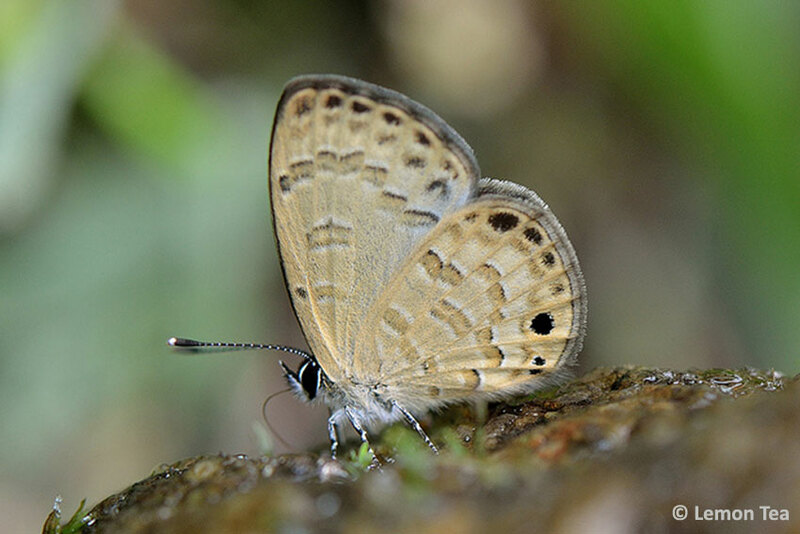 We now add this diminutive Lycaenidae to the Singapore Butterfly Checklist as species #304. Whilst a number of new species to be added to the checklist are still under investigation by various experts, this little Prosotas, that is so distinctly marked as to eliminate any doubt as to its identity, will be henceforth included in the checklist. The hindwing subapical spot in space 6 and sometimes in space 5 as well as the two tornal spots, one in space 2 and a much smaller one in space 1b, puts it beyond doubt that this is Prosotas lutea sivoka. It is a new find for Singapore, and more importantly first found in the 0.86 km2 Bukit Brown cemetery - an area that had sparked off some controversy when the Land Transport Authority announced plans to construct a new road across the site. Why is it that after all these years, this species eluded all the butterfly watchers in Singapore? Did it just recently appear, or was it hiding in the Bukit Brown area, just waiting for someone to discover it? We cannot say for sure. We only hope that with the adjusted alignment of the proposed road at Bukit Brown, this species will still continue to survive at its current habitat, and perhaps other parts of Singapore.